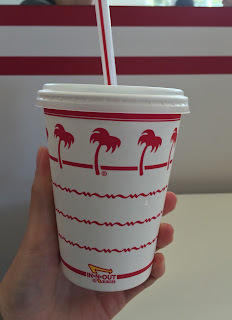 Every time we're in California, we try to go to IN-N-OUT at least once as they don't have any branch on the East coast. 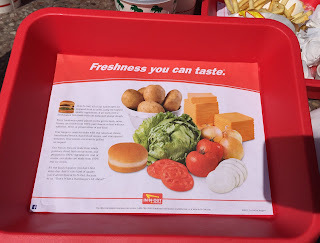 I've had Protein Style before, but I kind of missed meaty flavor and texture as the lettuce "bun" was too refreshing and light. 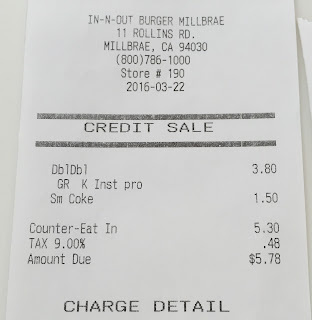 This time, I ordered Double-Double with Protein Style, without sauce. Inst = Instead of spread --- this case, it's "K Inst" meaning "Ketchup Instead of Spread." 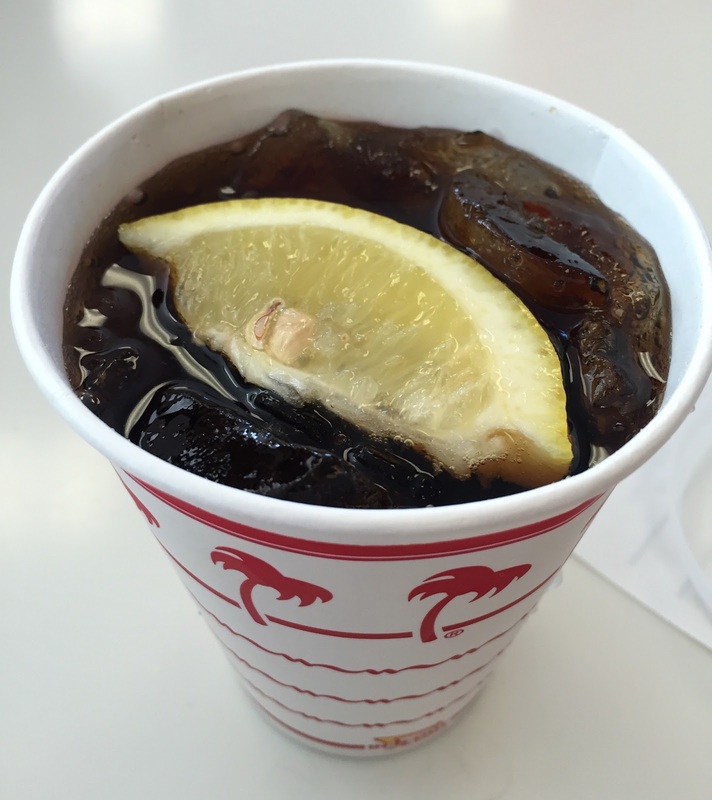 I got a small cup of soda, and it's to fill up on my own, I added a lemon slice by the soda machine. Soda cup was red, while shake was in a green cup. 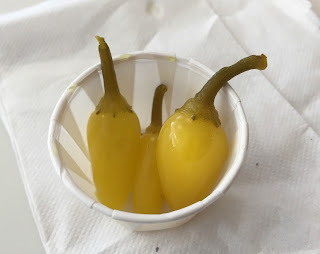 Pickled peppers were in the containers near the condiments and I picked some of them. Soda, pickles and Double-Double Protein Style. 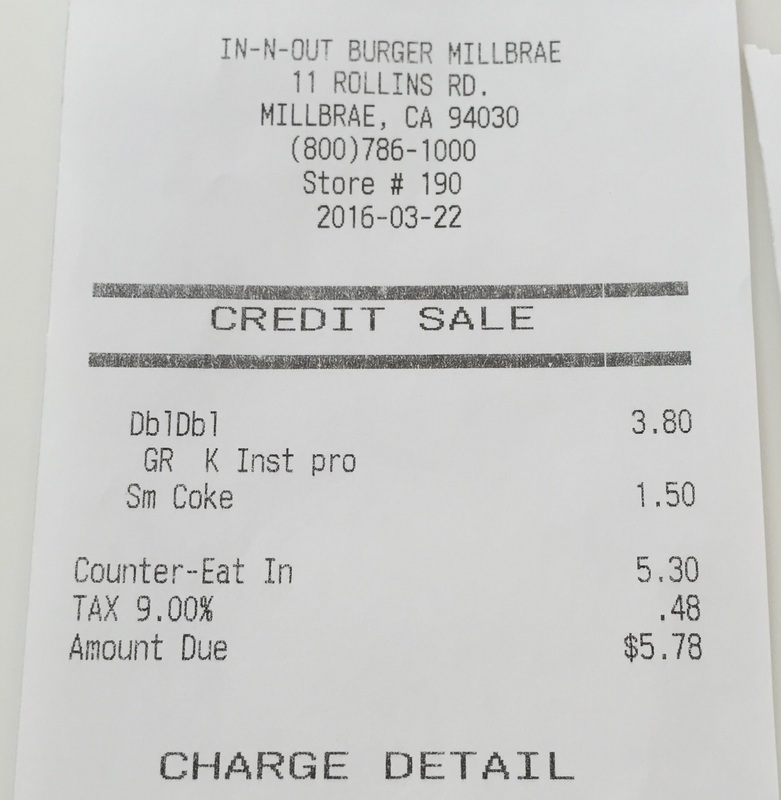 This time, the base is Double-Double and the paper bag said "Double-Double." Between lettuce, there're 2 patties, 2 American cheese slices, 2 slices of tomatoes and grilled cheese with ketchup without mustard or the famous spread. Usually they put raw onions, but this time, I got grilled onions for the first time. Grilled onions were sweeter and more flavorful, thanks to 2 patties, I could enjoy the juicy and meaty patties with light and crunchy lettuce. I definitely would get Double-Double for Protein Style.